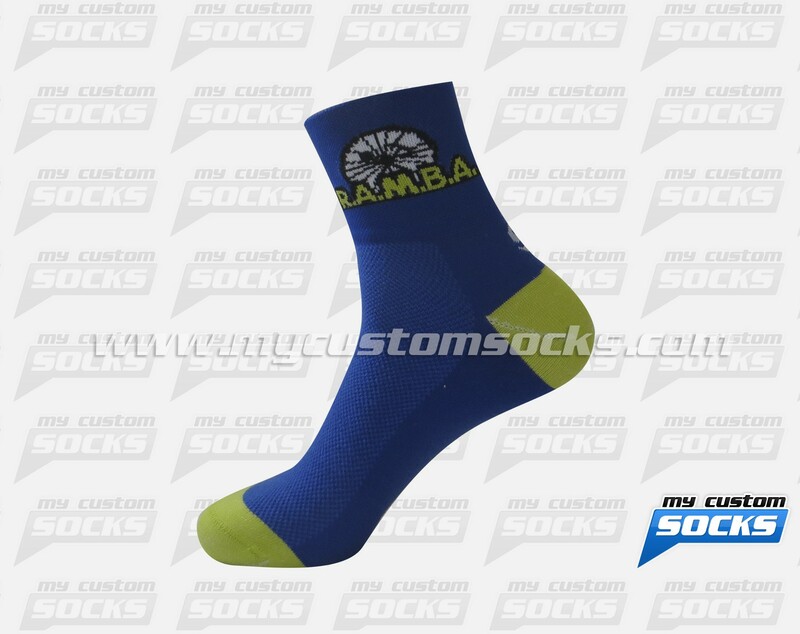 Team Custom Socks was proud to work with Range Area Mountain Bike Association in Ishpeming, Michigan.This nonprofit organization needed customized socks that could match their biking gear colors. They we looking for a low cuff sock with their logo featured prominently on the cuff. Our best fabric was used in the production of their socks to make them more comfortable. The club loved their custom socks.